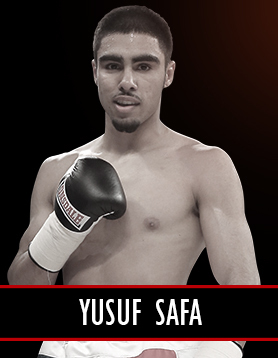 Talented super-bantamweight Yusuf Safa is unbeaten in four professional fights and has barely put a foot wrong so far. A pro since May 2014, he has quickly established himself as one of the standout young talents in Great Britain. Now 21 years of age, Safa was originally born in Kabul, Afghanistan and moved to Acton, West London with his parents in 1999. He was five at the time. At the age of eleven, Safa and his parents moved to South-East London, and a year later he began boxing at Eltham ABC. “At the beginning I would watch a lot of ‘Prince’ Naseem Hamed fights,” he said. “Then, once I found my style, I watched a lot of Mexican fighters and Roberto Duran and Manny Pacquiao. It’s a style that has got a lot of people in the boxing trade very excited. Perhaps his biggest fan is his promoter, Mick Hennessy, who recently labelled him “special”.